Orality and Literacy has become a classic since it was first published in 1982. It is concerned with the differences between oral and literary cultures. In making this exploration, it throws light onto the essential elements of writing which will be of interest to anyone concerned with the process at a theoretical or deeper level. It starts with the observation that speech and writing are two separate systems, and that ‘oral literature’ is a contradiction in terms. Much of the early argument deals with the issues of ‘authorship’ of Homer’s two epics The Odyssey and The Iliad. Were they written or spoken? He suggests a fundamental difference in oral culture and its dependence on formulas, cliche, and kennings. Not an oak tree, but ‘the noble oak’; not the Mediterranean, but ‘the wine dark sea’. He also makes interesting use of the work of the Soviet psychologist Luria [also recommended by neurologist Oliver Sacks] to demonstrate the non-abstract thinking of people in oral cultures. You’ve got to be prepared for some abstract but often delightful language in his expression. Terms such as ‘verbomotor lifestyle’, ‘chirographic culture’, and ‘noetic economy’ nestle alongside some compressed reflections on language, time, space, and our sense of self. The second part of the book deals with the relationship between consciousness, writing, and technology from the relatively recent 3500 BC onwards. He explains the importance of the alphabet (a one-off invention) and even argues that writing down words – as distinct from speaking them – has an effect on our thought process. En passant, there’s a very good account of classical rhetoric (antinomasia, paradiastole) which explains why this was important to classical Greeks. He even has an explanation for the importance of female authors in the rise of the novel. Next comes the importance of space in the rise of print, and the origin and significance of things we take for granted – such as title and content pages, indexes, paragraphs, even page numbers. These further separate print from oral culture and make the book less of a recording of something spoken, more an object in its own right. The latter parts of the book take his observations into the realm of literature and criticism, using the examples of narrative, closure, and character to illustrate the changes from an oral to a print culture. He ends with what he calls ‘theorems’ – topics for further consideration in the orality-literacy shift. These include literary history, New Criticism, Structuralism, Deconstruction, and Reader-response Theory. This is a book which throws off thought-provoking ideas on every page. It has been inexplicably out of print for some time. 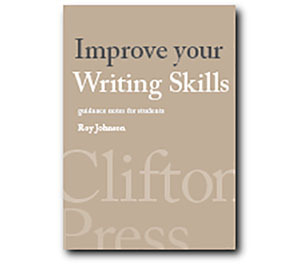 If you are interested in the psychology or the philosophy of what it means to produce writing on paper or screen – get a copy now. a simple and relatable interpretation of Walter Ong!